Complete an important reconnaissance mission for your commanding Jedi General in this ARF trooper costume for kids! 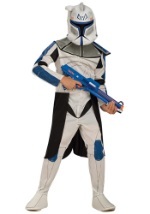 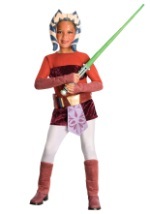 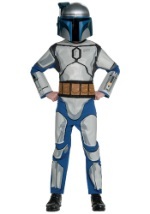 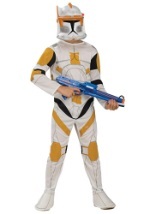 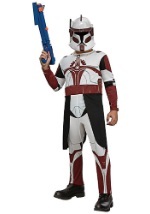 The licensed costume includes a polyester jumpsuit that is screenprinted in the front and back to resemble the ARF trooper from the Clone Wars series. 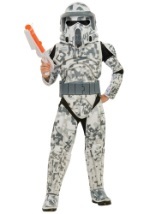 The jumpsuit velcros in the back for closure and has attached boot tops. 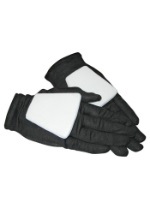 The boot tops are made from foam to maintain their shape and are secured over your shoes with elastic. 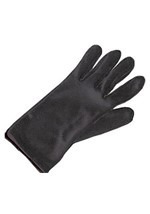 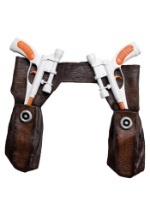 The half, character mask is made from plastic and is held in place with elastic and velcro. 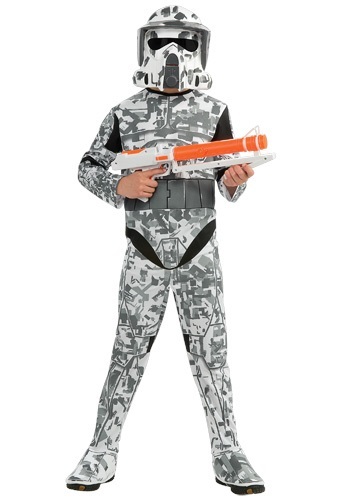 It has a see-through visor and slits for unrestricted vision. 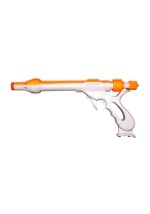 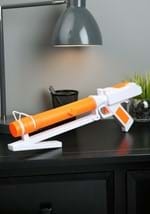 You'll be ready for the mission when you add of our toy blasters!